Here is the latest Game of Thrones "Artisans" video. 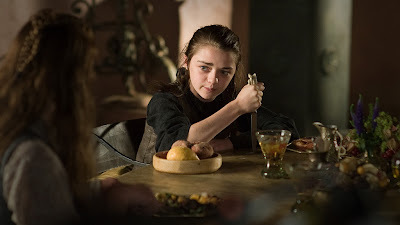 For the first time, this video features one of the cast members: young Maisie Williams who will play Arya Stark! In addition, here's a great photo of Arya. Fourth teaser trailer for Game of Thrones! Eleven new Game of Thrones images!